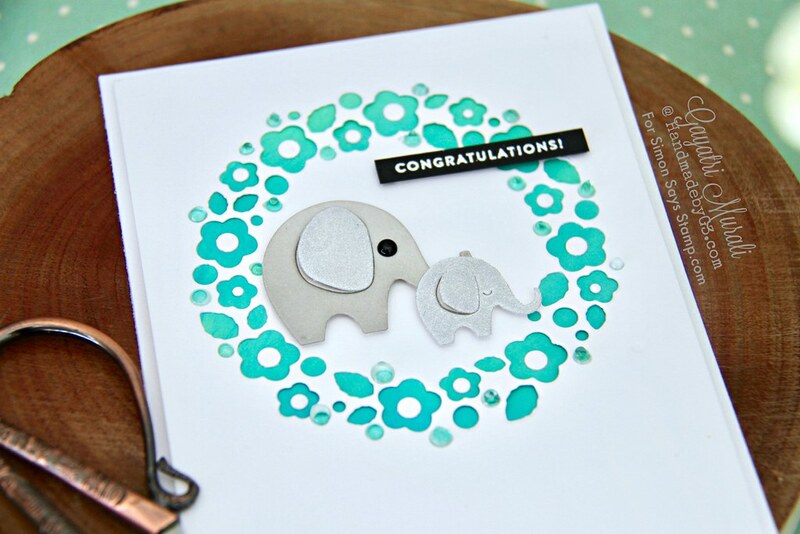 Baby Boy and Baby Girl Congratulations cards! Hope you have enjoyed my projects for Simon Says Stamp Best Days Blog Hop on Saturday. I made two more cards using couple of dies from the release which I am sharing with you today. 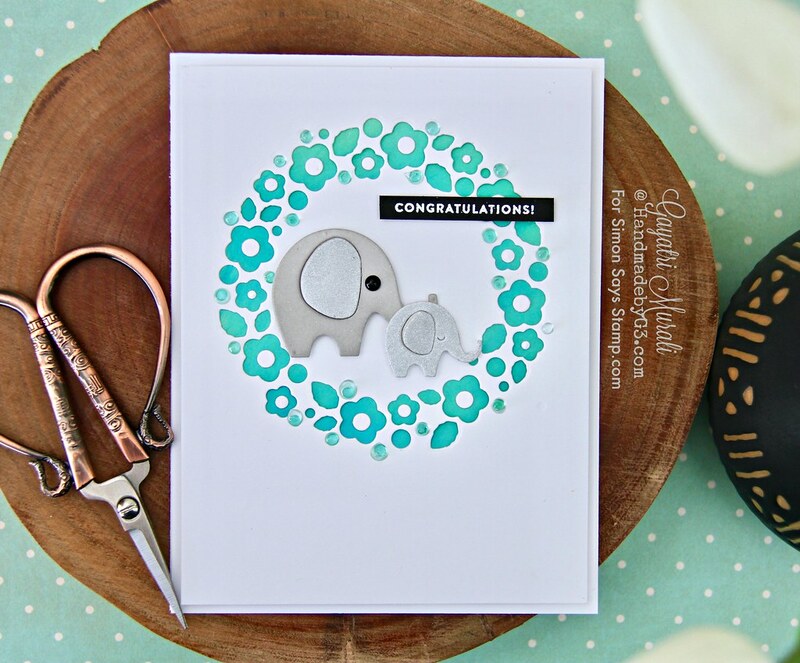 I am using Blooming Circle and Sweet Elephants dies from the Best Days release to make a girl and boy version of the same card. 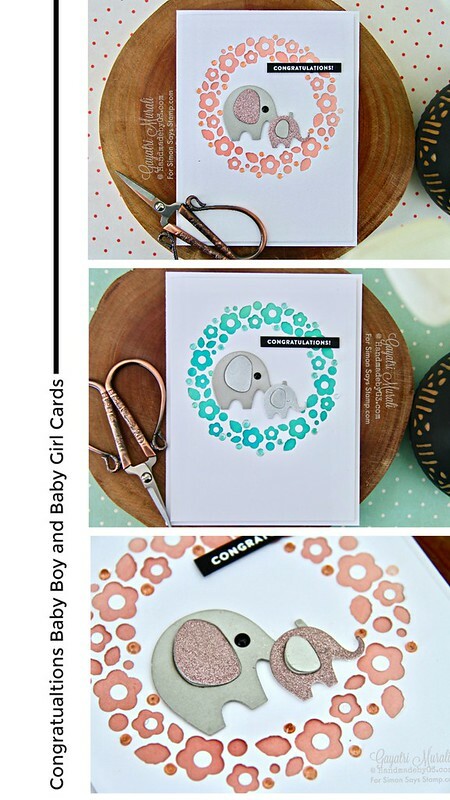 These are clean, simple and easy to whip up cards. I die cut the Blooming Circle die using two white cardstock panels which I trimmed to 4″x5.25″ in size. I place the die on the top centre of the panel and saved up all the pieces from the die cut especially the centre of the flowers. On another scrap piece of white cardstock, I sponged and blended distress oxide inks in Tattered Rose and Worn Liptstick colours. Trimmed this panel to 3.75″x 4″ in size. Similarly, on another white cardstock panel trimmed to the same size, I sponged distress oxide inks in Cracked Pistachio and Peacock Feathers colours. I adhered these sponged panels behind the Blooming Circles die cut panels using glue as well as the centre of the flowers. For the elephants, I die cut the big elephant using Fog cardstock twice and sponged some fog ink on the bottom to add depth. 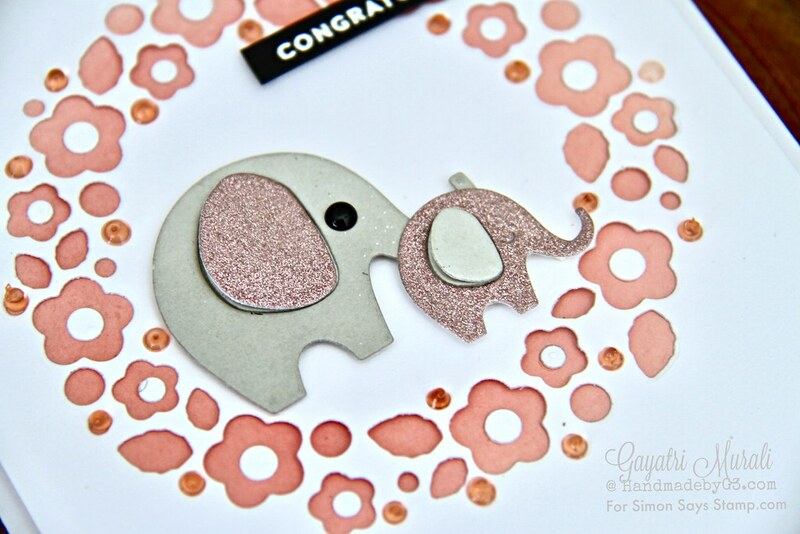 I also die cut the big elephant using pink and grey matt glitter paper. Yes! I am loving the matt glitter paper pad from Glitzy.Lol! I used the glitter die cut ears on the large elephant for added interest. To add dimension, I used glue on the front die of the ears and foam on the other side. 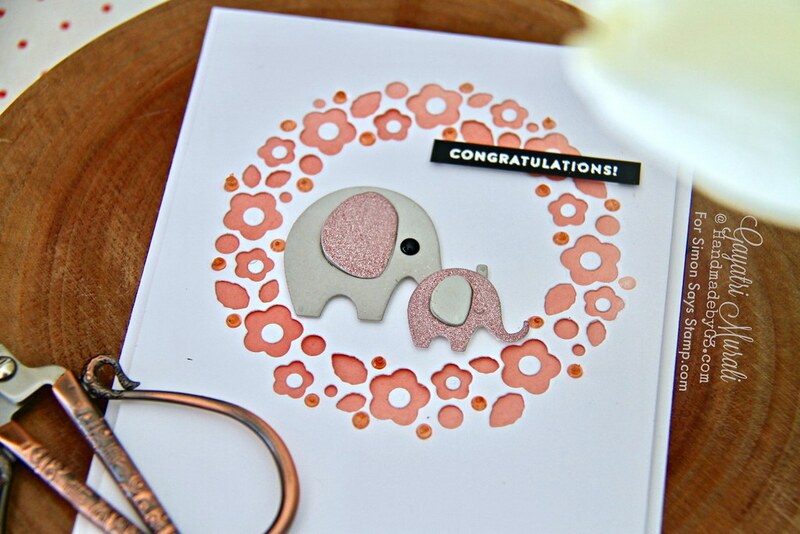 The smaller elephants are die cut using pink and grey matt glitter paper and ears for the pink little elephant is the fog cardstock. While the fog or matt grey made not much of a different for the little matt grey elephant, I used the matt grey ears. I adhered them similar to the ears of the bigger elephant for added dimension. 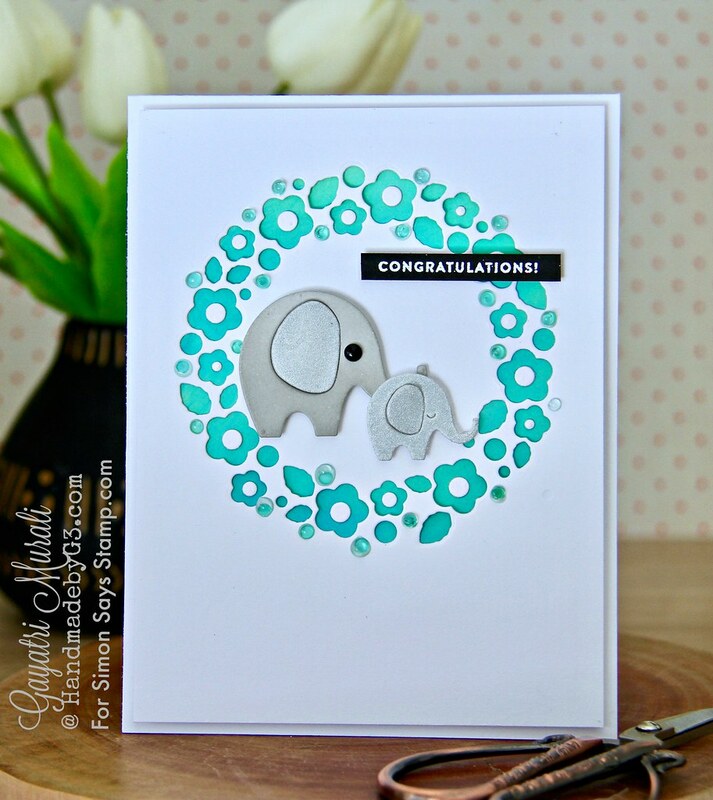 The mother and baby elephants are adhered on the bottom centre of the Blooming Centre die cut using foam adhesives. 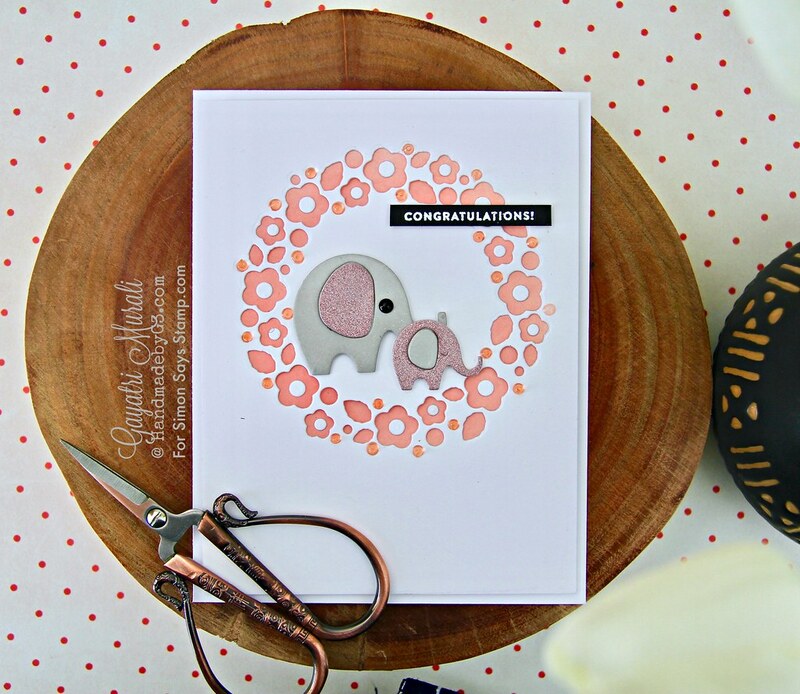 I used black enamel dots for the eyes of the mother elephant. And added Blue and Pink Nuvo jewel drops on some of the round dots of the Blooming Circles. 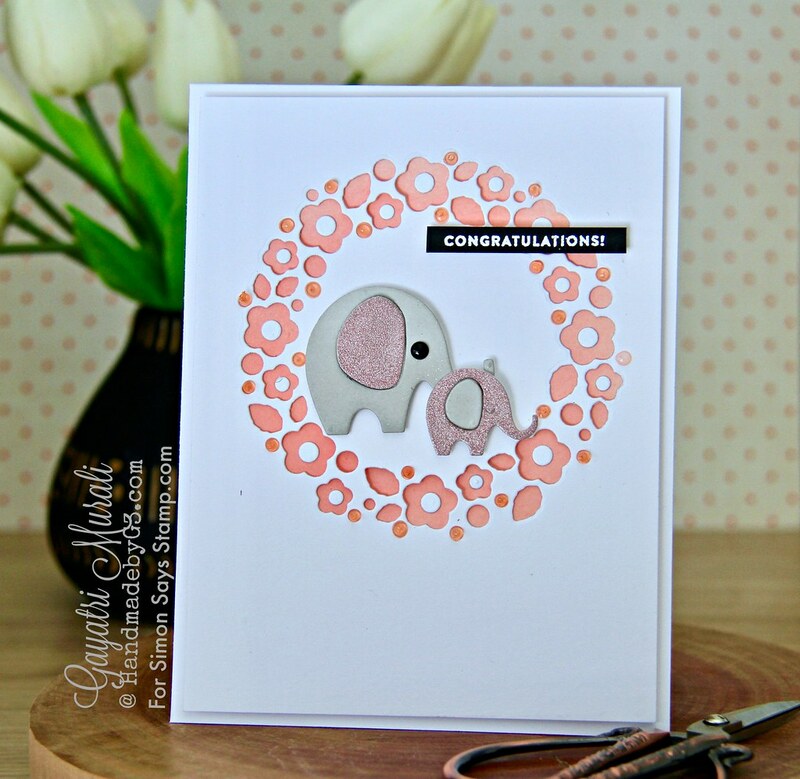 Finally the sentiment from Oh Baby stamp set is white heat embossed on black strip of cardstock and adhered using foam adhesives on the top right of the Blooming Circle die cut. This completed panel is adhered on white card base using foam adhesives. You can see the dimension on the elephant’s ears on the photo above. The elephants are so so cute. Love them so much because elephants and giraffes are my favourite wild animals. The blooming circles beautifully frames the focal images and sentiment and also adds colour. Such gorgeous release. Hope there are a few products you picked up from the release. Here is the image to booking on your Pinterest Board.